Oliver L. North is a U.S. Naval Academy Graduate, a combat-decorated U.S. Marine, the recipient of the Silver Star, the Bronze Star for Valor and two Purple Hearts for wounds in action. From 1983-1986 he served at the U.S. Government’s Counter Terrorism Coordinator on the National Security Council Staff. President Ronald Reagan described him as “An American Hero”. 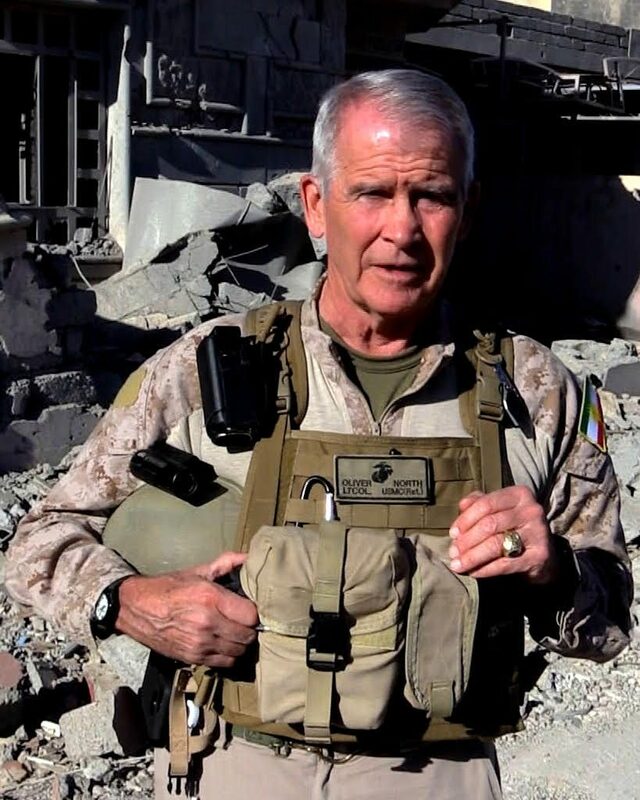 LtCol North is a New York Times best selling author, and inventor with three U.S. Patents, host of the award-winning “Ware Stories” documentary series on Fox News Channel and has been embedded with more than 55 U.S. & Allied military units in combat. He lives with his wife Betsy in Virginia. The North’s have four children and 17 grandchildren.